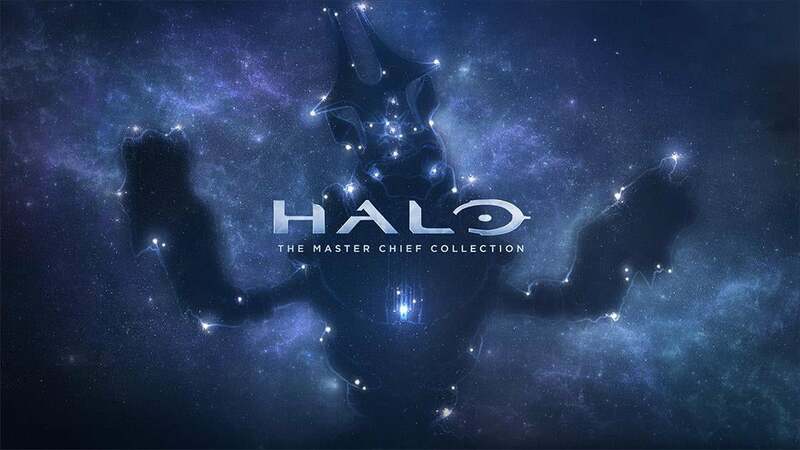 Master hacker and gruel chute lever licker YapYap has unleashed another Yappening on Halo: The Master Chief Collection. Luckily for players, he also launched some planned improvements at the same time. YapYap the Destroyer tells the story of his latest incursion into human playspace in a rambling post on Halo Waypoint. His tale gives insight into his fascination with meatballs and rocks that resemble potatoes, as well as the mystical value he places on pistachios. However, anyone wanting a coherent description of the changes to the game would do better to read the patch notes provided below. Today’s patch notes are a plethora of changes. 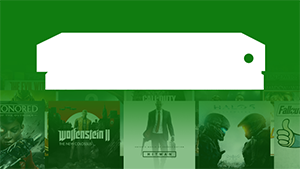 The team has touched on various Menus, gameplay elements, matchmaking for both social and competitive games, and fixes across every game in the collection. Read on for individual fixes. Disabled a host standby prevention measure that was incorrectly running in dedicated server scenarios that would temporarily force clients into a joining state. Infection appears to have been replaced by the Yappening... We are working to resolve this as quickly as possible and make some improvements in the process. Fixed an issue where the mission completed difficulty badges for Spartan Ops missions were not displayed. 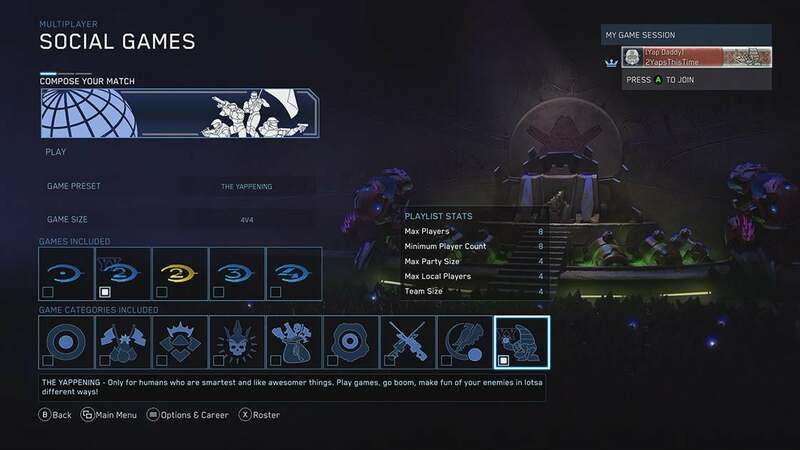 It looks like if you select 4v4 in Halo 2 Classic you can choose “The Yappening” as a game type there are a bunch of changes Yapyap has made… But it also looks like there are changes we were planning to make rolled in as well? Not sure, but here are game types that I’m seeing have been added and what we think they mean. People cheer when you lose your head, now you know how Grunts feel when you make them dead! 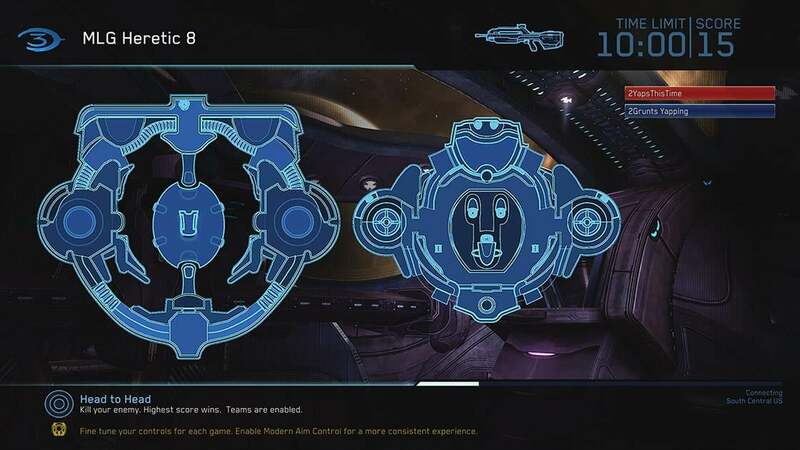 This appears to have temporarily replaced standard SWAT for Halo 2. The gameplay is the same, but every time you get a headshot, Grunts can be heard cheering in joy. It’s a party, but with more methane! Stuff breaks and things change, but ya still just gotta make the other team super dead to win. This appears to be a Fiesta variant. However, in addition to spawning with random weapons, a random HUD element is also missing after each respawn. Additionally, each round fired appears to subtract two from the magazine. Players will need to scavenge weapons from fallen foes. Grab your Brutey Shooties and make the bad guys boom! Atriox must be even jealouser of me now! Players have Brute Shots (Brutey… Shootey?) with bottomless clips, and the physics impulses from the projectiles and explosives appear to be greatly magnified. Launching crates at foes seems to be at least as effective as shooting them directly. It’s King of the Hill! Except the kings fly and the hill hates you. This is a King of the Hill mode with a single stationary hill. Players can survive a lot of damage, but spawn with Needlers with bottomless clips. Supercombine explosions from the Needlers push players away from the hill or even off the map. Player gravity appears to be reduced while physics impulses appear to be exaggerated. Rules is simple – make boom, fly high, grab ball! Hold on tight the longest to win. This appears to function like a normal multi ball Oddball mode. 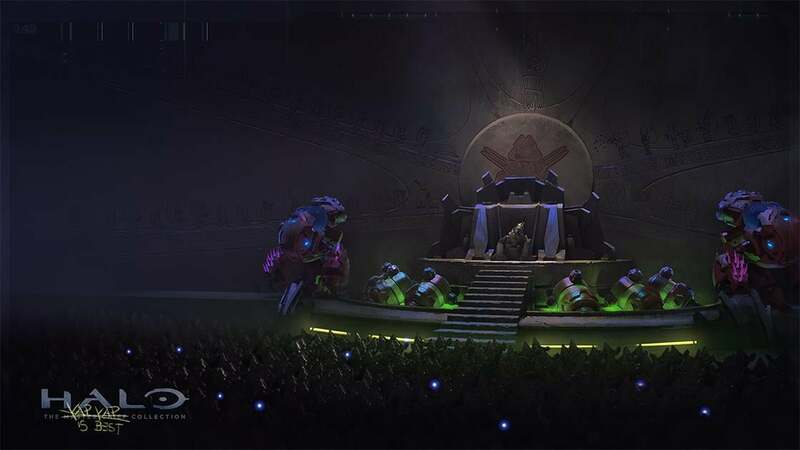 However, players can launch themselves (and their opponents) around the arena with rocket launchers. Invented by the only good human on a message board for birds – lots of vehicles to ride, lots of heads to pop! This appears to be some form of big team invisible low gravity SWAT vehicle fiesta mode… Players have no shields but have active camo. Players spawn with a BR and a random secondary weapon. The vehicle set is randomized. Players do still appear on radar, so that appears to be the best way to keep track of them. Players can show their support or opposition of Yapyap’s Grunt Rebellion with two new nameplates, which can be unlocked by completing in-game tasks. 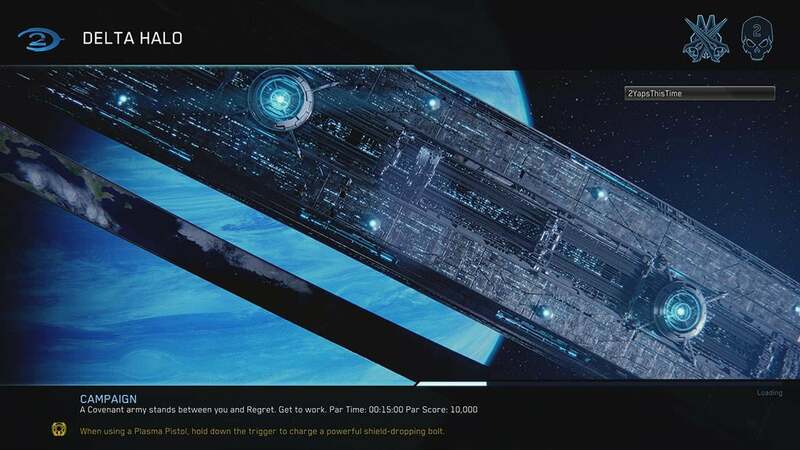 We've got the full list of Halo: The Master Chief Collection achievements - check the list for guides to unlocking them. This game was featured in our Best Xbox One First-Person Shooters Available in 2019 article. Why not check it out to see what else made the cut?